Chelsey Hintze from Chanteclaire Farm sent some updates on Arravale. She is currently in France, Merriebelle is breeding her to Siyouni. Not sure yet if she will return to the USA to foal, or if she will remain at our farm in Ireland. This will be determined. 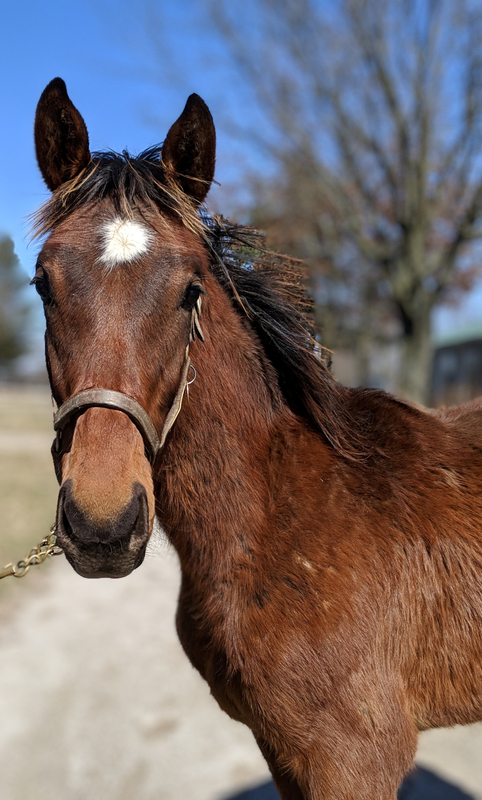 Arravale'18, the yearling is great, growing like a weed. We will not name him, as he will be available for public auction this fall. 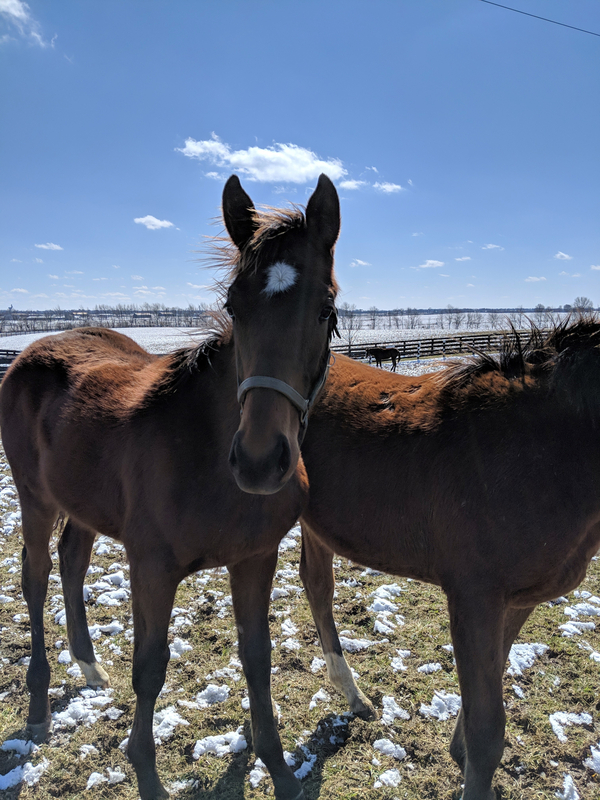 The colts and fillies have been separated at the yearling barn already, so he's learning all about being a "teenage" boy. He spends most of his days sleeping all morning, and then tearing around rough housing all afternoon. Living his best life for sure! Arravale18 is having some fun here with his pasture-mate Owl Moon. Arravale18 is phased by nothing! You'll see in this video, his recent surgery has had no impact on his attitude!! Gotta love that boy! !